Vintage image spring children in their Easter best with sweet new pets! 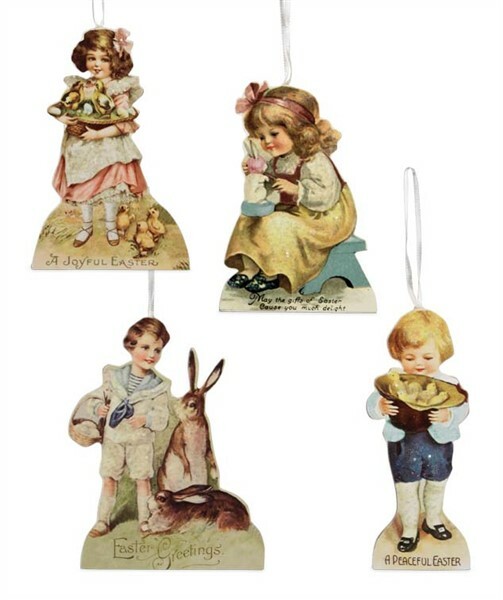 These ornaments are darling and can be hung on a tree or where-ever you want a tough of spring. They are made of MDF, paper and ribbon and are approx 3.5" x 2.5", 4" x 1.5", 4" x 2.5" and 4" x 3". You will want a few at this price!